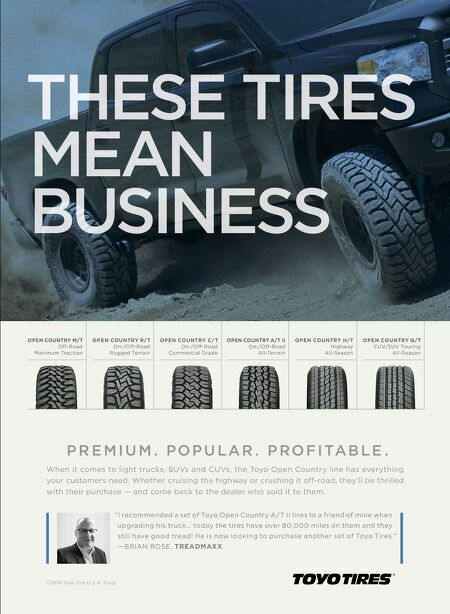 THESE TIRES MEAN BUSINESS OPEN COUNTRY M/T Off -Road Maximum Traction OPEN COUNTRY R / T On-/Off -Road Rugged Terrain OPEN COUNTRY C/ T On-/Off -Road Commercial Grade OPEN COUNTRY A/T II On-/Off -Road All-Terrain OPEN COUNTRY H/ T Highway All-Season OPEN COUNTRY Q/ T CUV/SUV Touring All-Season "I recommended a set of Toyo Open Country A/T II tires to a friend of mine when upgrading his truck… today the tires have over 80,000 miles on them and they still have good tread! He is now looking to purchase another set of Toyo Tires." 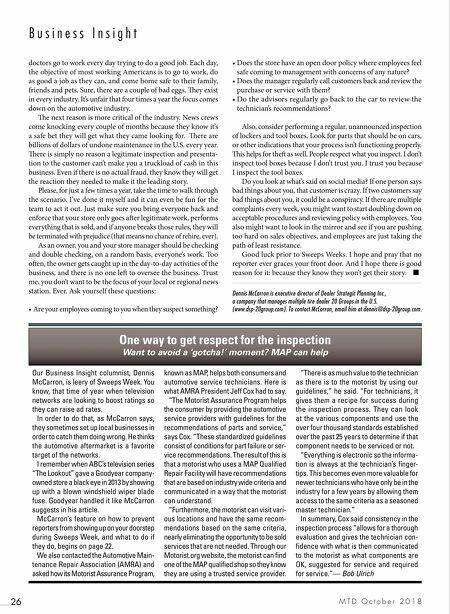 —BRIAN ROSE, TREADMAXX ©2018 Toyo Tire U.S.A. Corp. When it comes to light trucks, SUVs and CUVs, the Toyo Open Country line has everything your customers need. Whether cruising the highway or crushing it off -road, they'll be thrilled with their purchase — and come back to the dealer who sold it to them. P R E M I U M . P O P U L A R . P R O F I TA B L E .